Project summary: ICChange needed to update their existing website to better represent who they are and what they do. Their old website looked dated, wasn’t optimized for mobile devices and tablets, and was a pain for ICChange team members to update. We designed a brand new look for their site that reflects their fresh and innovative approach. The new website is responsive, providing a seamless user experience across all devices, and uses the Wordpress CMS so it is simple and easy for them to manage and update the site. 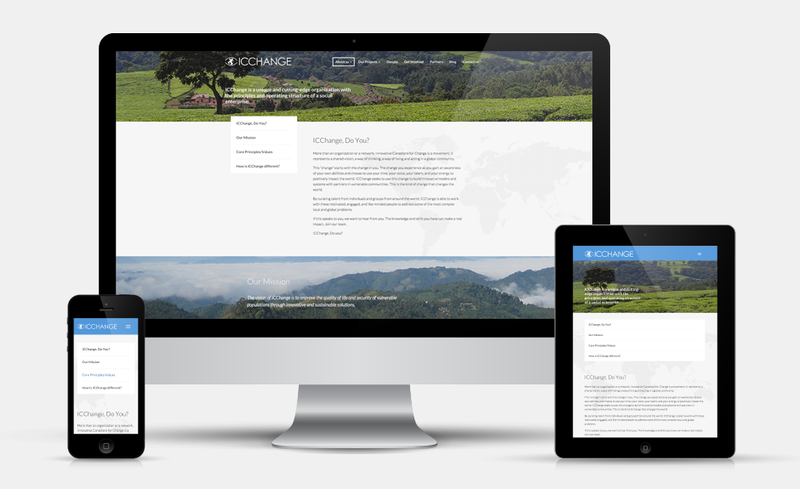 Their website now provides an excellent medium for ICChange to tell a meaningful and impactful story to their visitors.